Wastewater has become a global issue. Untreated or improperly treated wastewater gets discharged into groundwater, rivers and streams, and our oceans, spreading disease, killing marine life and affecting the purity of our drinking water. Which means that 80% of the noxious effluents are left to waste us. 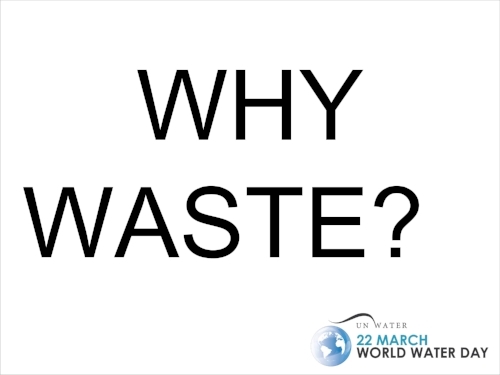 To commemorate World Water Day, with its mission to advocate for the sustainable management of freshwater resources, Ecologos will make an announcement March 22 at Toronto's MaRS Discovery Centre. We will proclaim the launch of our Ontario 150 Great Lakes Water Walk & Celebration, aiming to raise awareness of water pollution issues in this enormous source of freshwater and to inspire positive action. Domestic wastewater: Coming from residential sources (toilets, sinks, laundry, etc. ), it contains, among other things, body waste and associated internal disease organisms. Industrial wastewater: This is usually industrial discharges from the manufacturing processes, which can include residual acids, plating metals and toxic chemicals. In Canada, our wastewater treatment plants have often been behind the times. Many municipalities would only do “primary” treatments of wastewater, cleaning out solid wastes but not liquids like cleaning products and old medications. Although Canadian cities have been given the deadline of 2040 to upgrade their plants to also do secondary treatment, removing bacteria and other nasty dissolved substances, some contend this is too little, too late. And there’s the question of how municipalities will be able to pay for such costly upgrades. One of the great challenges faced by our cities is their sewer systems, often designed to carry sewage, rainwater runoff and industrial effluents in the same pipe. When there’s too much rain or melting snow, the volume of liquid can exceed the capacity of the sewer system or treatment plant, and the wastewater is discharged directly into bodies of water like Lake Ontario. This has been an ongoing problem in Toronto. The size of the issue was driven home in 2013, when a record rainfall hit the city, overwhelming the sewers and Toronto’s two wastewater treatment plants, releasing huge quantities of sewage and other pollutants into the lake. After the waters receded and summer temperatures soared, many Torontonians sought relief in waters of Lake Ontario and Humber River, since no official advisory was released about the health dangers of taking a dip post-wastewater flooding. Down the St. Lawrence, Montreal faced its own sewer crisis, in 2015. Because the city needed to repair the intercepting infrastructure that fed sewage to a treatment facility, they shut the system down and pumped about eight billion litres of untreated sewage into the St. Lawrence, sparking protests and worldwide outrage. One news source estimated this amount of wastewater to be equivalent to an hour of water going over Niagara Falls, or enough to fill 3,200 Olympic pools or 200,000 NHL hockey rinks. On Canadian coasts, cities often dumped untreated sewage into the ocean, depending on its vastness to absorb its wastewater. But in recent years, dying marine life and tourist trades damaged by noxious waterfront odours have made cities like Halifax take steps to try to clean up their act. However, on the West Coast, beautiful, mild, flower-filled Victoria still pumps untreated sewage into the ocean, at a rate of approximately 82 million litres a day. The city has long debated whether it should invest as much as $1 billion to get adequate treatment facilities or just leave things the way they are, with no resolution in sight. While wastewater is primarily viewed as a city problem, because of huge populations, wastewater issues also plague northern communities, especially First Nations ones. The challenges of treating sewage and other wastewater are exacerbated by the inhospitable climate (eliminating several southern methods of water treatment), the difficulty of getting parts for treatment plants and attracting skilled workers to run them, the high energy costs of plant operation and other factors. Often these communities turn to “passive” wastewater treatments, using natural processes in wetlands and marine waters. While federal and provincial governments are mandating higher wastewater treatment standards for all Canadian communities, there are concerns that such regulations do not reflect the conditions of the northern communities, and perhaps divert funding for other more important infrastructure projects into mechanical wastewater treatment systems prone to breaking in the harsh climate. With this year’s focus on wastewater issues, we hope that Canada and the world can finally come clean with new, innovative solutions for this environmental hazard.